Please look at the examples below and review your own positions or that of your crew. Anthony Edwards, 5 times Olympic athlete demonstrates common issues. It is important that the wrist is flat at the finish otherwise poor body posture will be the result and the wrist can sometimes sustain an injury. It is also important that the correct feathering procedure is followed at the tap down and this is only possible with a flat wrist. 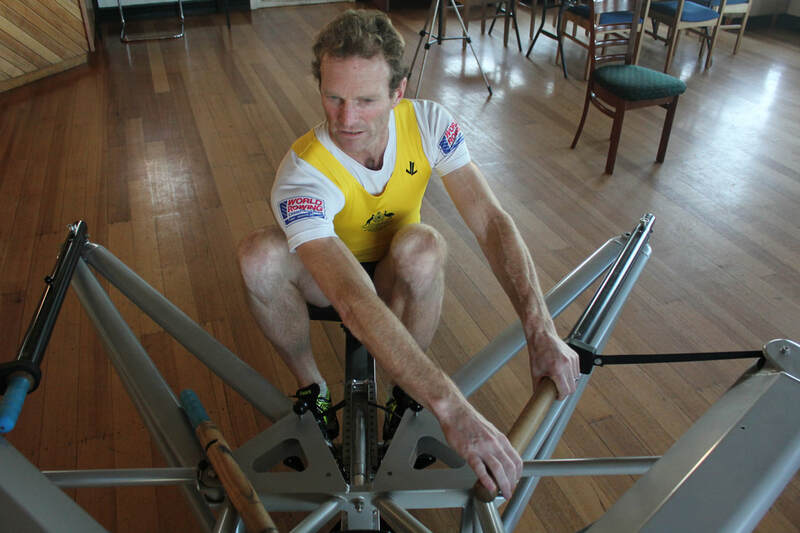 Here we see Eddy demonstrating the correct position of the hand and wrist at the finish in a sculling boat. The key is to make sure that the wrist is flat and the forearm approximately horizontal. It is very important to feather correctly. 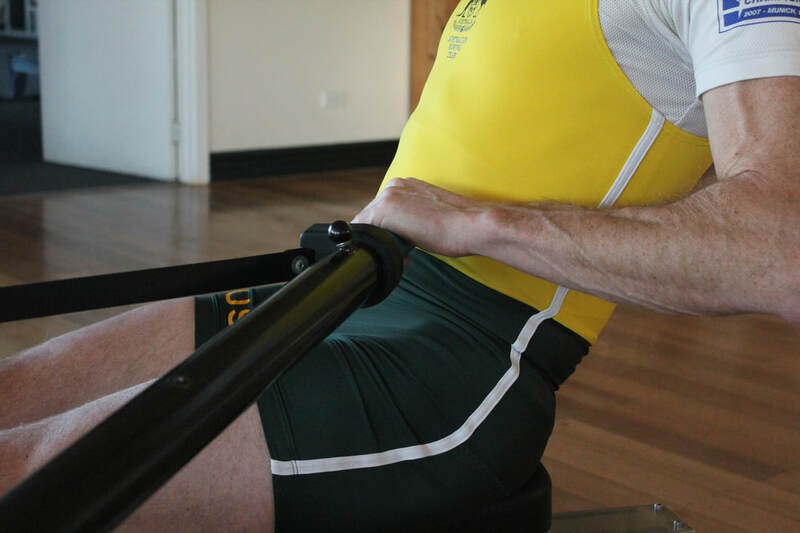 ​​Here Eddy demonstrates rowing with the wrist cocked up at the finish, this usually means that the athlete is gripping the oar too tightly otherwise this position is difficult to achieve. Additionally the wrist in this position usually indicates that the feathering to follow will be done with the wrist not the fingers. This leads to a dropping of the shoulder and slumping of the body, poor posture in the boat. This usually occurs after the finish with athletes that do not feather with their fingers, ie they drop their wrist to feather. This causes the body to slump with the pelvis tilting backwards and causing difficulties with the rock-over. Sometimes this position is seen before the feather and if so must be corrected as it causes the body slump as discussed above and makes correct feathering impossible.